These are the terms and conditions that will apply when you use the transportation services provided by Easytruck Removals & Storage LLC (“Easytruck”). Easytruck will deliver the goods only to the place and (where appropriate) to the person that you have authorized in writing. If Easytruck is unable to deliver the goods to that location or that person, Easytruck may hold them and will charge you both a storage rate on a daily basis and a subsequent re-delivery charge once until you inform us that delivery can be made as instructed. Easytruck will supply you with a quote before Easytruck provides our transportation services, however this will be an estimate only. Prices are calculated according to the amount of trucks, crew & materials required. Any additional space or materials required due to items being added to the original Easytruck quote will require further payment on the day, calculated by the number of additional half truck loads that are required to provide the extra transportation services. Transportation services are only provided between 8am and 6pm. In the event of the transportation services being requested outside of or required to exceed the standard operating hours, as detailed, an over-time rate will be applied. If the transportation services include a pickup or delivery address outside of the Dubai Emirate, you will be charged a fixed extra charge “Inter Emirate Charge” depending on the location as detailed in the quote. Prices include crew (the size of which will be determined by Easytruck), loading, truck use and unloading to specified destination(s). Prices do not include insurance, handyman or unpacking, except where indicated in the quote. In the event of items being too large to fit in elevators, a stair carry fee will be applicable. The Operators have warranted to Easytruck that they have all the necessary authorities, licenses and permissions in respect of the transportation services and that Easytruck can enter into this agreement with you as a third party. If Easytruck is prevented from or delayed in providing the transportation services to you (except where the prevention or delay was the result of the actions of Easytruck), Easytruck may charge you a reasonable additional charge. If you alter the agreed date for the provision of the transportation services, Easytruck may charge you a reasonable additional charge to compensate Easytruck for any additional expenses that arise because of that alteration. Easytruck has it’s own professional packing & moving team and it’s own trucks,. All moving services are executed exclusively by us. On the rare occasion we are over booked, Easytruck may utilize the services of 3rd party “Operators”. Easytruck staff are on hand to manage the transportation services provided by Operators whilst ensuring the highest levels of service, care and reliability are provided. Use of the transportation services of Easytruck and the Operators is solely at your own risk. The Customer will assume all costs of repairing any damage or and replacing any lost goods that are to be transported by Easytruck and the Operators, whether or not such loss or damage was caused by Easytruck or the Operators or the contractors or employees or either. Without limiting the generality of the above, you bear all risk relating to the provision of the transportation services provided by Easytruck and the Operators. Whilst Easytruck and the Operators take every possible precaution to protect your goods, some risks remain when transporting goods. Easytruck recommends that you buy your own total loss or comprehensive insurance policy to protect yourself and your goods. We also accept credit card payments at our warehouse. Easytruck requires a minimum 48 hours advance notice of cancellation of a confirmed booking. Any cancellations later than 48 hours will attract a 500Dhs cancellation fee. In the event you are not contactable on the day of your move, we will deem the job as cancelled and a 500Dhs cancellation fee will apply. These terms constitute the entire agreement between us with respect to its subject matter and they cancel and supersede any prior understanding and agreement between us regarding the subject matter. There are no representations, warranties, terms, conditions, undertakings or collateral agreements between us other than as expressly set out in these terms. These terms and the relationship between us will be governed by and construed in accordance with the laws in force in the Emirate of Dubai. If a dispute arises in relation to the provision of the transportation services (either during or after they have been completed), written notice of the dispute must be given to the other party within 7 days of the provision of the transportation services. Even if that notice is given, both you and Easytruck agree that they will continue to perform their obligations as set out in these terms (including the provision of payment by you). These are the terms and conditions that will apply when you use the transportation and/or storage services provided by Easytruck Removals & Storage LLC hereinafter referred to as “Easytruck”. By signing this Agreement you (the “Customer”) agree to the Quotation and the terms and conditions in this document (together the “Agreement”) henceforth it becomes a binding contract between the parties. This will include provision of services outlined in the Quotation which may include storage, transportation, freight, insurance, and inventory control, sale of packaging materials and any other related services or products (“Services”). These terms along with the Quotation, Customer Data Sheet and Items in Storage Replacement Value Declaration constitute the entire agreement between us with respect to its subject matter and they cancel and supersede any prior understanding and other agreement between us regarding the subject matter. There are no representations, warranties, terms, conditions, undertakings or collateral agreements between us other than as expressly set out in these terms. Any reference to the “Customer” herein shall mean the person who has executed /signed the Agreement together with their successors, representatives, agents and assigns as notified to, and agreed by, Easytruck. “Items” means all property stored by the Customer in the Storage Space; “Equipment” shall mean all keys, access codes, locks, dollies, blankets, tape dispensers, straps, cartons and ramps; “Fee” shall include all charges payable by the Customer to Easytruck for the (Services) use of either Storage Space, Transportation or Equipment as well as any late charges, access fees, damages or other costs that may accrue and shall be free from any deduction or set-off; if the Customer fails to pay for any service provided to the Customer by Easytruck or any Operator for a period of thirty (30) days, this shall constitute an “Event of Default”. “Operator” shall mean any legal third party provider of “Storage Space” which shall mean any storage warehouse, container or parking area provided by Easytruck or the Operator; “Pledge” shall mean the pledge agreement signed and executed by the Customer in favour of Easytruck, as annexed hereto, the “Term” shall be the duration of this Agreement. Reference to the “Law” shall be to the law applicable to this Agreement and the Pledge, being of the laws applicable in the Dubai International Financial Centre “DIFC”. Unless otherwise stipulated in the Quotation, this Agreement shall have a 3-month Term commencing on the date shown on the front of this Agreement and continuing until terminated in accordance with this Agreement. Billing shall always be in one (1) months increments. Easytruck is a moving and storage service provider with agreements with Operators of transportation services and storage facilities (collectively the “Operators”). Easytruck not only provides its own services, but from to time to time it also promotes and manages the Storage Services provided by Operators whilst ensuring the highest levels of service are provided and maintained. Easytruck also has its own leased warehouse(s). The Items may be stored either at Easytruck’s facilities or those of an Operator. The parties hereby agree that prices and Fee set out in this Agreement may be subject to change for any service or sale at any time. Any such change shall be notified to the Customer in writing. The Customer agrees to pay any VAT, taxes and/or duties arising under the Agreement or in relation to the Services. Easytruck and the Operator will provide the Services upon receipt of the initial payment and a security deposit equivalent to a one-month storage Fee. This security deposit will either be refunded at the time of termination or expiration of the Agreement, or adjusted against any further payments due for Services provided but not paid for under the Agreement. This Agreement does not constitute a lease or rental agreement. The Customer shall pay the first one (1) month’s Fee in advance. Each additional month will be due the day before your renewal date. In the event that any cheque is returned or dishonoured, the Customer will pay Easytruck an additional administration fee of AED 100 per returned cheque. Equally, in the event that the Customer makes late payment, an administrative fee of AED 100 will apply for every seven (7) days that the payment is overdue. The Customer will make each cheque payable to Easytruck Removals & Storage LLC for collection or bank transfers made to: Emirates NBD: Account Name: Easytruck Removals & Storage LLC . Dubai Police Academy Branch/ Account: 101-4417210-701 / Swift Code: EBILAEAD / IBAN: AE83-0260-0010-1441-7210-701. Easytruck also accepts payment by MasterCard and Visa at its office or via its online payment gateway. Where items stored exceed the value of AED 10,000 per POD, the Customer must notify Easytruck in accordance with its Undertakings at Clause 9 below. The Fee for storing items with a value in excess of AED 10,000 will be increased by AED 50 per month for each multiple of AED 10,000 of value of the Items. In the event that the Customer removes its Items prior to the completion of their final month and if the Customer is in managed or shared space or self storage, one (1) full month’s Fees will be charged and paid by the Customer. Mobile Storage POD Customers will be charged AED 19 /POD per day. The Customer hereby warrants that it has knowingly and willingly executed the Pledge in favour of Easytruck as security for payment of the Fee, and that pursuant to the Pledge, ownership and title in the Items will pass to Easytruck. The Customer hereby empowers Easytruck to do and/or execute all or any of the acts and things, in respect of the Items, or any part thereof pursuant to this Agreement and independently, the Pledge. Easytruck may determine, including (but not limited to) the execution and lodging with the appropriate authorities of all relevant documentation from time to time required and specifically to sign for and on behalf of the Customer any bills of sale, application forms, transfer forms, and to register any and all such transfer forms and documents and to delegate any of the above powers to any agents or dealers as Easytruck may appoint, generally to deal with the Items in any manner as Easytruck in its absolute discretion deems fit, and to appoint such other agents or attorneys to delegate to them all or any of the above powers at Easytruck’s discretion. Such powers will only be exercised by Easytruck in the event that the Customer fails to pay for any service provided to the Customer by Easytruck or any Operator for a period of thirty (30) days (as such failure will constitute an Event of Default). It is agreed that Easytruck and/or the Operators have no obligation whatsoever to disclose information concerning any action taken. Any such action shall not affect Easytruck’s and/or the Operator’s right to take any additional and necessary legal measure to obtain payment for Services provided to the Customer. Upon the occurrence of an Event of Default the Customer hereby expressly acknowledges and agrees that legal title and ownership of the Items and the storage unit transfers to Easytruck and it can dispose of the Items as the owner of the Items. take any other action necessary to recover any outstanding balance from the Customer. The Customer agrees that Easytruck will not be in breach of this Agreement by exercising its rights under this Clause 7 or Clause 8 or under the Pledge and warrants that it shall have no right of recourse against Easytruck for taking any action to deal with the Items. In the event of any breach of the terms of this Agreement by the Customer which is not corrected within five (5) days after receipt of written notice of such default (by email, sms or standard post), then Easytruck may terminate this Agreement at any time thereafter and may, at the sole option of Easytruck or the Operator, either remove or retain and Items or property (including locking any applicable Storage Space to the exclusion of the Customer) until all Fees have been paid in full. In the event that Easytruck has retained the property of the Customer and Fees remain outstanding thirty (30) days after the notice termination (an Event of Default), then Easytruck may sell, remove, destroy or otherwise retain any Items in the Storage Space pursuant to this Agreement and the Pledge. The Customer shall remain liable to Easytruck for any shortfall of monies due if not covered by any sale. The Customer hereby agrees that Easytruck may dispose of or sell any/all Items in the Storage Space and Customer shall have absolutely no recourse against Easytruck for such removal or disposal of the Items. The Customer undertakes that it is the legal owner of the Items in the Storage Space at and time or is otherwise authorised to execute the Agreement and the Pledge on behalf of the lawful owner. The Customer undertakes that any information given by or on its behalf shall be correct and complete. This includes, but is not limited to, information to be provided in Easytruck’s Items in Storage Replacement Value Declaration (the “Declaration”). 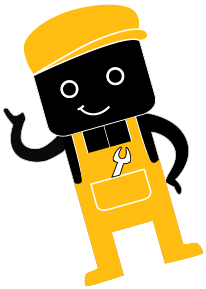 The Customer undertakes to keep the Declaration up to date and to inform Easytruck of any material change to the Declaration. The Items shall be presented to Easytruck securely and properly packed in compliance with any applicable statutory regulations, recognised standards and good practice and are and will remain in a condition to be safely handled, stored and/or carried and so as not to cause injury, damage, contamination or deterioration (or the possibility of them) to any person, premises, equipment or to any other items in any way. Before Easytruck assumes any responsibility for or by reference to the Items, the Customer will inform Easytruck in writing of any relevant matters; including any special precautions necessitated by the nature, weight or condition of the Items and any statutory or other duties specific to the Items with which Easytruck or others may need to comply; and will promptly after invoicing pay Easytruck’s reasonable extra charges for complying. The Customer undertakes not to store Items directly or indirectly in violation of the laws applicable in the DIFC, Dubai, or the United Arab Emirates. Easytruck will not be liable or responsible for any violation of this clause by the Customer and may, if necessary, remove Items from the Storage Space if deemed, in the sole discretion of Easytruck or the Operator, as high risk, or if requested to do so by the local authorities. The Customer undertakes to use the Storage Space to store ONLY personal property and household goods owned by the Customer. The following items are strictly prohibited from Storage Space: food products, animals, flammable (including fuel and welding materials) materials, caustic or solvent materials, compressed gases, explosives, environmentally harmful products, waste, and dangerous goods (including weapons). Hazardous goods as described within Easytruck’s insurance coverage are expressly forbidden (a copy of the relevant clause will be provided upon Customer request). Illegal substances, contraband or sharp or excessively heavy materials or any other goods that are hazardous or toxic, or that may form a risk to property or person are strictly prohibited. The Customer hereby irrevocably authorises the Easytruck or the Operator to remove any item that violates this provision forthwith without notice, all undertaken at the sole risk of the Customer. Easytruck or the Operator reserves the right to inspect any Storage Space where it has grounds to believe that this provision has been breached and the Customer shall have no recourse in the event of such an inspection. The Customer undertakes not to store Items which in any way violate the laws of the DIFC, Dubai, or the United Arab Emirates. The Customer will indemnify Easytruck against any loss or damage it suffers as a result of carrying out the Customer’s instructions or which is related to any breach of the Customer’s Undertakings or obligations, and will pay all costs and expenses (including professional fees) incurred in, and Easytruck’s reasonable charges for, dealing with the breach and its consequences. The Customer will pay an extra charge equal to the amount of any fine or penalty payable by Easytruck wholly or partly as a result of a breach by the Customer. If Easytruck suspects a breach of the Customer’s Undertakings pursuant to this Clause 9, it may refuse to accept the Items, demand their immediate removal, or itself arrange their removal without notice, at the Customer’s expense. Provided the Customer’s account with Easytruck is paid in full and the Customer is not in default, the Customer has the right to access its Items from time to time for the purpose of inspecting, removing or adding stored goods, by filling in the access form on our Mobile Storage Website http://easytruckmobilestorage.com/access/ with a minimum 24 hours advance notice. The Customer shall access to the Storage Space during such hours and pursuant to such general rules as may be determined by the Operator or Easytruck’s hours of operation. In Easytruck’s own locations, access hours are 8am – 5pm Saturdays to Thursdays, with weekend access available with 48 hours notice. Easytruck can provide labour to assist Customers at a flat fee of AED 200 per head per hour which shall be paid in advance. The Customer may be provided with an access card that allows access to the self storage facility (applicable only to individual locked self storage units, excluding mobile storage PODs). The Customer undertakes to report any lost or stolen access cards in writing to Easytruck, and indemnifies Easytruck in relation to the removal of items and/or theft resulting from loss of a Customer’s access card. In the event of an access card being lost or stolen, a replacement access card will be provided to the Customer for a fee of AED 100, which shall be paid on collection. If the Customer wishes to authorise a third party access to its storage facility it may do so by providing a request in writing to Easytruck, providing their name, phone number and Emirates I.D number in advance. Individual storage units are locked by a padlock and keys issued to the Customer. The Customer may request the Operator or Easytruck to maintain a duplicate key for padlock on their premises for an additional AED 100. Although an access control system has been installed in some facilities to allow the Customer twenty-four (24) hour access to the Storage Space, Easytruck does not accept any liability for inability to access the facility resulting from system failure or for any other reason whatsoever. All Equipment, including all access codes, keys or other access devices that are provided to the Customer shall remain the property of Easytruck or the Operator except for those locks that are installed for the security of Customer. Easytruck or the Operator will provide access to the Storage Space to any police officer or other official if the Operator or Easytruck deems it appropriate to do so. The Customer may request Easytruck to manage the Items as described in the Agreement. This request should be put in writing and signed by both parties. Easytruck will not accept any liability whatsoever for the storage, transportation, loading, managing, handling and in-transit services of these Items and any loss or damage shall be at the sole risk of the Customer. The Items transported by Easytruck or the Operator and/or stored in the Storage Space are at sole risk and the expense of the Customer, and Easytruck or the Operator shall not be obliged to effect insurance cover for the Items. The Customer will obtain all required insurance for their Items. Easytruck assumes no risk and provides no insurance for the Items when stored in the Storage Space or elsewhere. The Customer specifically accepts the obligation to obtain any required insurance and assumes the risk of either not obtaining such insurance or for not being able to collect under any policy for any reason. Easytruck will ask the Customer to declare the value of the Items stored for their audit and Easytruck’s own insurance policy. However, please note that this does not constitute a policy of insurance for the Customer. For the Customer’s reference only, Easytruck only maintains cover for Easytruck’s potential losses at approximately AED 5,000 per 5 (five) CBM (Cubic Meters) of storage volume against fire, theft by forced entry and natural disaster only. It is the responsibility of the Customer to obtain and maintain a third party policy of insurance of their own at the cover they require if at all. Use of the transportation or storage Services of Easytruck and the Operators is solely at the Customer’s own risk. The Customer will assume all costs of repairing any damage and/or replacing any lost Items that are to be transported or stored by Easytruck and the Operators, whether or not such loss or damage was caused by Easytruck or the Operators or the contractors or employees of either. Without limiting the generality of the above, the Customer bears all risk relating to the provision of the Services provided by Easytruck and the Operators. Easytruck excludes all liability for all Loss howsoever arising, where “Loss” means (without limitation) loss (including theft), destruction, damage, unavailability, contamination, deterioration, delay, non-delivery, mis-delivery, unauthorised delivery, non-compliance with instructions or obligations, incorrect advice or information, loss or corruption of data, interference with or disruption of computer systems, breach of duty; and any event giving rise to any liability of an “Interested Party” (meaning the Customer or anyone with an interest in the Items) to any other person or authority. In no circumstances whatsoever shall Easytruck be liable for any loss of profit, wasted expenditure, special, indirect or consequential loss or damage of any kind whatsoever. the amount that Easytruck or the Operator (after reasonable attempts) has been able to recover from its insurance provider and that is attributable to the Customer’s Items. For the avoidance of doubt, nothing in this Clause 13.3 shall give the Customer any right to enforce, or entitlement to make a claim, pursuant to any insurance policy that Easytruck may maintain. Without prejudice to Easytruck’s right to be paid free from deduction or set-off, any limitation of liability on the part of Easytruck shall be applied to any claim by the Customer before any set-off or counterclaim is asserted against money due to Easytruck. it has received, within twenty-one (21) days of the event giving rise to the claim, sufficient detail in writing to enable investigation and rectification of any issue capable of remedy. No legal proceedings (including any counterclaim) may be brought against Easytruck unless they are issued and served within 6 (six) months of the event giving rise to the claim. Easytruck shall be entitled to sub-contract on reasonable or industry standard terms all or any part of its obligations and in this event this Agreement shall continue to apply as between Easytruck and the Customer. 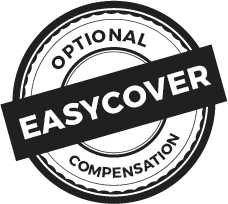 If an Operator or any employee or agent of Easytruck (an “Additional Party”) pays or is liable to make a payment to an Interested Party in connection with a claim for Loss, the Interested Party will fully indemnify Easytruck against any claim (including all costs and expenses) by the Additional Party against Easytruck for reimbursement of, contribution to, or indemnity against that payment to the extent that it exceeds the Limit applicable at the time of the event giving rise to the claim. The Customer is required to notify Easytruck immediately of any changes to the Customer’s name, address, contact information or account numbers, or any proposed assignment of this Agreement, or change of ownership or corporate structure of the Customer by calling 8003279 and emailing [email protected] If, as a result of the Customer’s failure to provide Easytruck with updated information, Easytruck is unable to process any Fees or charges payable under this Agreement, or if Easytruck is unable to contact the Customer in the event of an emergency, Easytruck may deem the Customer’s Items or property to have been abandoned, and dispose of any Items in accordance with Clauses 6, 7 and 8 above. The Customer agrees that the Fee is being paid for the use of space only and Easytruck or the Operator assume no responsibility or risk for any particular Item that may be stored in the Storage Space. The Customer hereby disclaims any implied or expressed warranties, guarantees or representations of the nature, condition, safety or security of the Storage Space and is aware there is no compensation for lost, stolen or damaged items. The Customer or Easytruck may terminate the Agreement on giving fourteen (14) days notice (the “Notice Period”) in writing to the other party. In the event that the Customer terminates the Agreement, the Customer will be liable for payment for the current month’s Fee as set out in Clause 5. Easytruck and the Customer may agree a discounted rate for long term storage. If such an agreement is made and the Customer wishes to terminate the agreement early, then the discounted rate will be forfeited and standard published monthly rates will be applied for the entire Term. The current month will be defined as the payment month occurring on the fourteenth (14th) day of the Notice Period. If Easytruck terminates the Agreement and the Customer does not remove from Easytruck’s or the Operator’s premises, the Items being stored within seven (7) days after the Notice Period, Easytruck may, without prejudice to any other rights or remedies against the Customer, notify the Customer in writing that the Items may be sold or otherwise disposed of within seven (7) days from the date of such notice (or if applicable, such Items are not removed within the time stipulated by Easytruck). If, on expiry of the period as determined by Easytruck, the Items have not been removed, Easytruck may take any action as set out in Clauses 6, 7 and 8 above. Neither delay, omission nor failure by Easytruck or the Operator to exercise any right or remedy provided for herein, nor any partial exercise of any such right or remedy shall be deemed to be a waiver thereof. If at any time any provision of this Agreement or the Pledge is or becomes illegal, invalid or unenforceable under the Law or the law of any jurisdiction, the legality, validity or enforceability of the remaining provisions of this Agreement or the Pledge will not be affected or impaired in any way, whether under the Law or the laws of another jurisdiction. Easytruck hereby reserves the right to modify, update and vary (“Variations”) this Agreement at its sole discretion. Easytruck shall provide at least fourteen (14) days written notice of any such Variations to the Customer before any Variations shall take effect. The Customer shall be deemed to have accepted the new Terms and Conditions if they do not terminate the Agreement following notice of the Variations. Easytruck shall be relieved of its obligations in under this Agreement to the extent that it is prevented, hindered or delayed in carrying out its obligations under this Agreement at any time due to fire, storm, flood, tempest, explosion, industrial dispute or other risk or peril beyond the control of Easytruck or any Operator. The Customer agrees that this Agreement may be executed by means of electronic signature and further agrees that this Agreement, executed by means of electronic signature, conforms with any and all relevant laws concerning electronic transactions and commerce and in executing the Agreement electronically the Customer waives any rights whatsoever to claim otherwise. Nothing in this Agreement is intended to give anyone who is not a party the right to enforce its terms. These terms constitute the entire agreement between the parties with respect to its subject matter and they cancel and supersede any prior understanding and agreement between the parties regarding the subject matter. There are no representations, warranties, terms, conditions, undertakings or collateral agreements between the parties other than as expressly set out in this Agreement. This Agreement and its terms and conditions (together with all documents referred to herein) shall be governed and construed in accordance with the laws of the DIFC. Each party irrevocably agrees that the Courts of the DIFC shall have exclusive jurisdiction in relation to any claim, dispute or difference concerning this Agreement and its terms and conditions and any matter arising there from. If a dispute arises in relation to the provision of the Services (either during or after they have been completed), written notice of the dispute must be given in accordance with the provisions of Clauses 13.5 and 13.6. Even if that notice is given, the Customer and Easytruck agree that they will continue to perform their respective obligations as set out in these terms (including payment of the Fees by the Customer).